Christmas is a time of love and giving. Look around you. The bell ringers for the Salvation Army are out in full force. Grocery stores have pre-packaged bags of food ready to buy for donation to food shelves. You will find Toys for Tots and other organizations sponsoring trees in businesses so people can pick up a tag and donate a gift to someone who otherwise might not have Christmas gifts. Individuals are busy buying gifts for their family and other friends, and others are giving gifts to those who they might not otherwise share with the entire year. We Americans are generous at Christmas. I find when I am out and about I feel guilty I can’t leave money in each and every Salvation Army kettle. I know my donation in whatever kettle I drop it into goes to the same place, but I feel bad when I glance into the faces of the volunteers who are bell-ringers and don’t tuck a donation into their kettle. They work hard in cold weather, and they always have hopeful faces and friendly hellos. We emphasize giving at the holidays, but in our communities our giving spirit is alive all year long. Because we don’t always have a reminder, we may forget hunger and need isn’t a holiday issue — it is an ongoing year round issue. In my community the past few months we have supported Bebo, Alex and Cindy with benefits. These three individuals all have different cancers they are fighting. Communities Fighting Student Hunger pack bags every week for students to take home on the weekend so they will have something to eat. Our food shelf serves the area and is open every Tuesday evening for those in need to pick up food, and there is also emergency pickup. The prayer groups in every church are busy praying for those who need prayers. My community is one community; the same scenario plays out in communities across America. The internet has widened our scope for those who need our help. I have followed a young single mother by the name of Emily who became ill when having her child. The illness destroyed her liver. Her courage impressed me, and over the years I have gained an admiration for her courage and her faith. She has inspired me. It was a blessing this past year when she received a liver transplant. I had learned to care about a complete stranger and feel she was part of my family. Websites such as gofundme.com and caringbridge.com keep us connected to those we know and those who are strangers but need our assistance, and allow us to help, even if we can only pray and not donate monetarily. Words of kindness count too. I can’t tell you what it has meant to me when events in my life have taken me down, and those near, far away and online friends have supported me with their soft words. There are occasions when it is easier to share with a person you haven’t met, but trust, rather than someone close by. They may have experienced what you are experiencing too. It might be just a word or two, but it gets you through to the next day. I wish all of you a very merry Christmas. I wish those who celebrate and believe differently than I do, a happy holiday. You, my readers, keep me going. I thank you for supporting me through the year. I thank you for your kind words. I hear them and they inspire me. 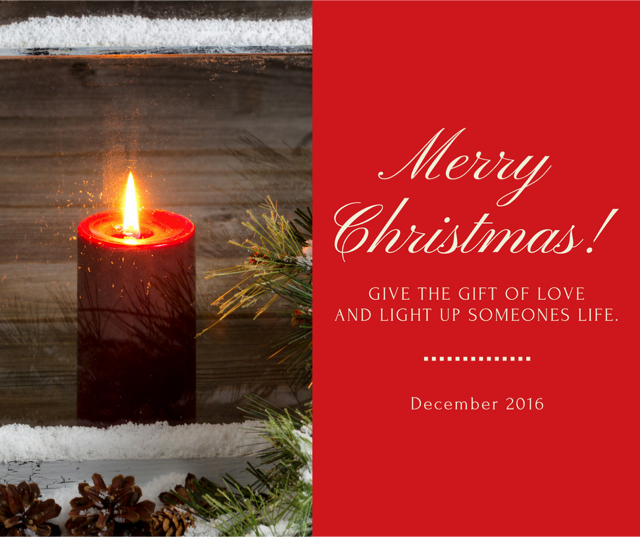 Christmas is a time for love and giving. I wish for you to feel the joy of giving, because in giving you will feel the love wrapping around you to keep you going through the good and dark times in your life. That giving spirit will come back to you in ways you can’t imagine. I wish for you to keep the spirit of Christmas in your hearts all year long, and when you begin to feel the grinch and sadness and hard times in your life take hold, which will happen, let others give to you. It’s a magic circle. These are some of my favorites right now. I will add more. I don’t have a lot to give but I can at least give by promoting them too. Have a wonderful Christmas. Previous Thanksgiving Is Over, It’s On To Shopping! I can totally relate to the Salvation Army bell ringers situation. I frequently shop and do give. However I do find myself feeling bad when I have no money with me. I give several times. I’m unable to do it every time I go to the store. I also like the idea of helping with others in need. I personally get more joy out of giving than receiving. Merry Christmas! A smile and Merry Christmas go a long way too.